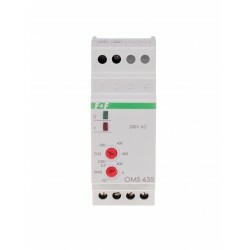 The limiter allows to disconnect the receivers in case of exceeding the specified power consumption. 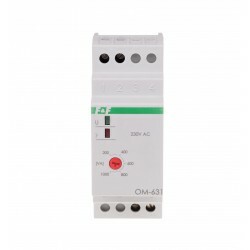 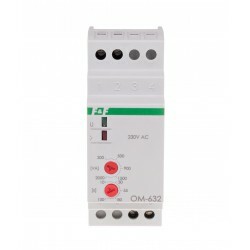 In addition, the OM-360 controller is equipped with the power supply voltage control function and protects the receiving installation from damage that may occur due to disconnection of the neutral wire (if the neutral wire is disconnected before the OM-630 power limiter). 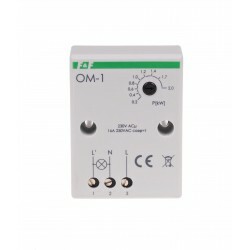 The OM-630 relay analyzes the power consumption of the devices connected to the receiving line on the basis of continuous measurements of voltages connected to terminals L1, L2, L3 and N as well as the currents flowing through the built-in current relays. When the power consumed by the receivers exceeds the value set by the user than after the TON time the K1 relay and load will be disconnected. 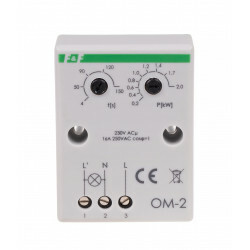 After the TOFF time the K1 relay will reconnect. 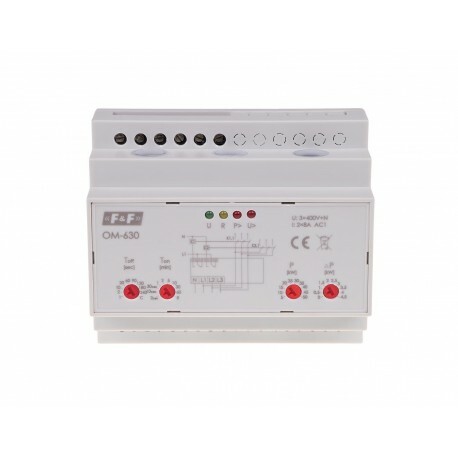 If the power consumption is still exceeded, then after the TON time the load will be disconnected again. 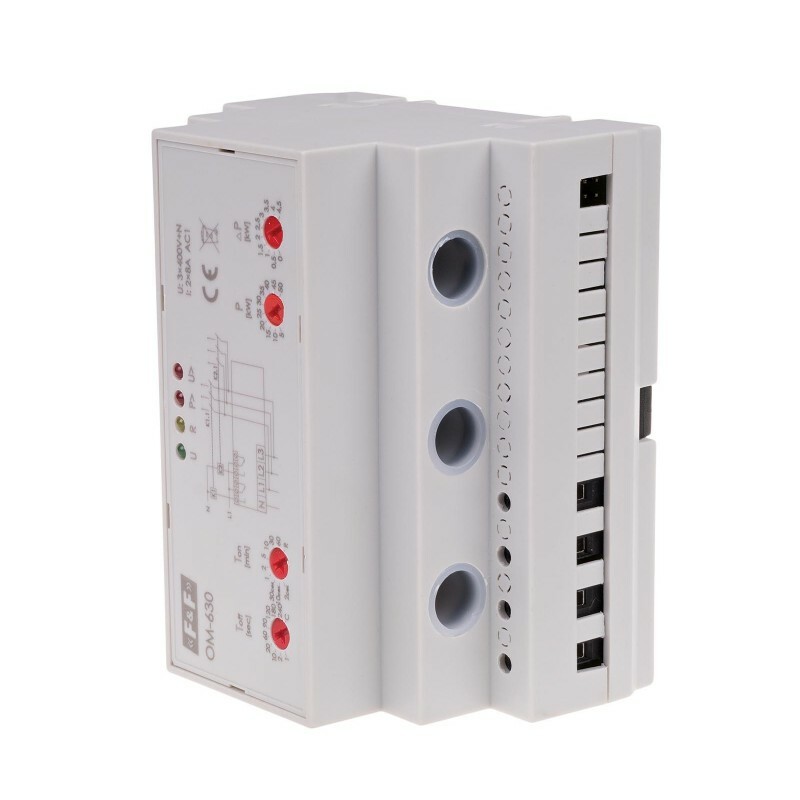 This sequence can be repeated six times, after which the load will be disconnected for 10 minutes. 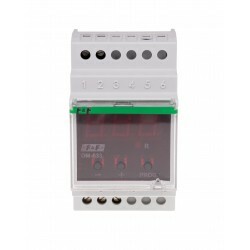 After that interval the sequence starts from the beginning. 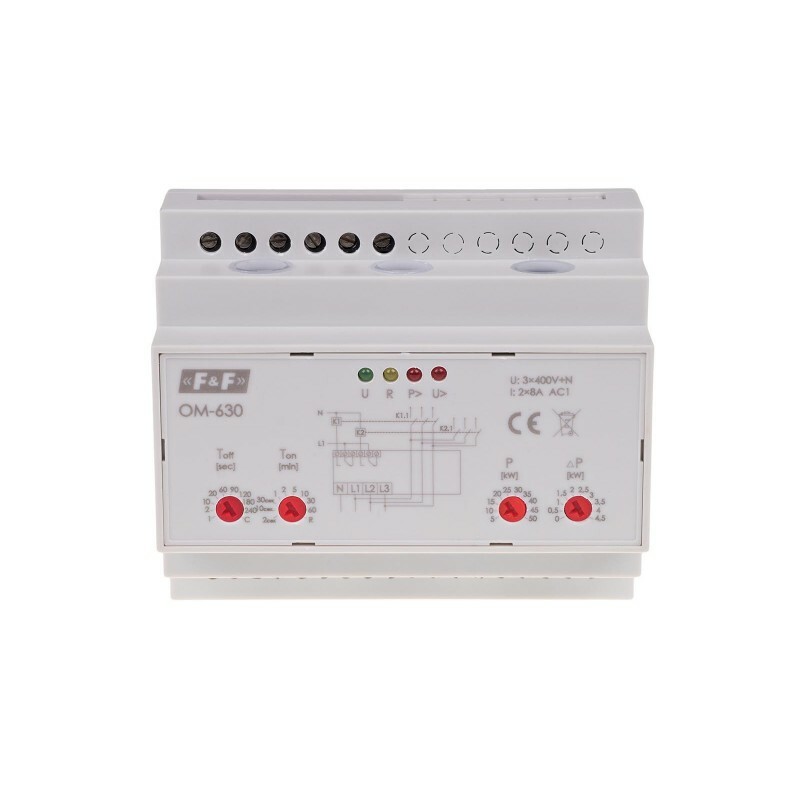 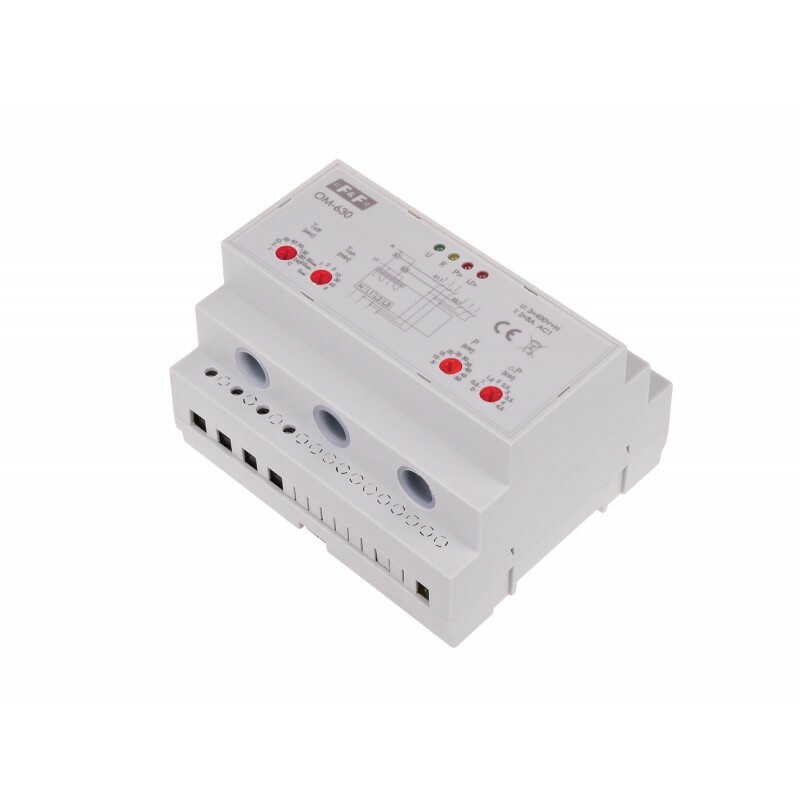 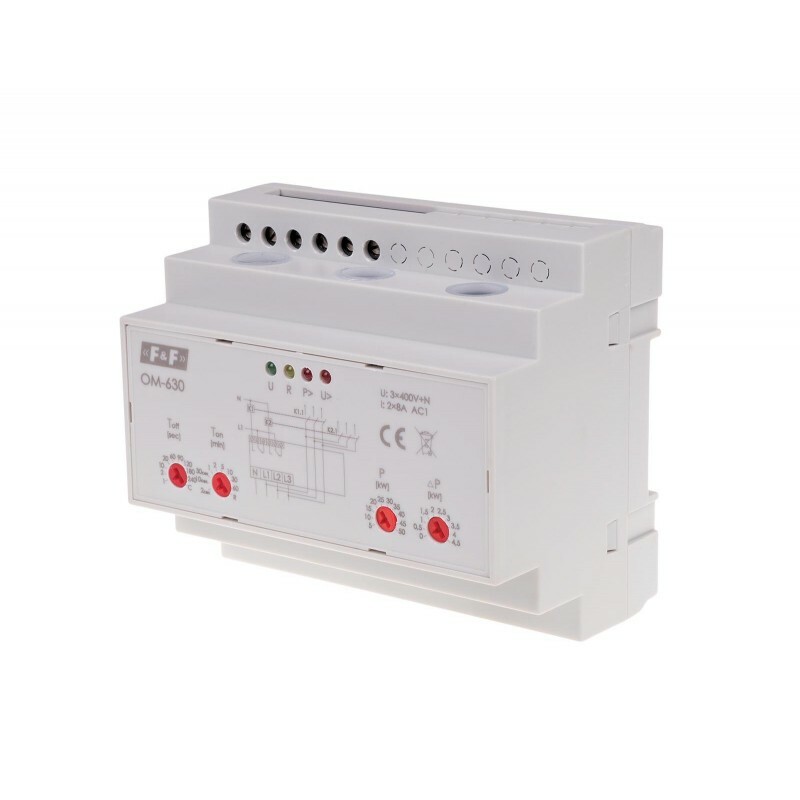 In addition, the limiter is equipped with the power supply voltage control function and when the voltage drops below 160 V, or exceeds 260 V, then the limiter will switch off the K1 relay and disconnect the receivers.